Last weeks ride was a wash, a couple of the people riding were late, we had to mess around with bikes, and since it was a regroup ride, I waited in a number of places. By the time I got back to Decker Lake after 50-miles, I was done. Hot, hurting, and late for lunch, so just cut the course short there and headed back to the car. My ride is on Garmin Connect here. This weekend it was just Ralph and I. Back a few years ago were were working hard and competing against each other to be the first person under 2:30 for the 56-miles, we never got there, but got close. This week we rode pretty much non-stop, and arrived at Decker Lake 20-minutes faster than last week, so we wrapped up finishing the course as much as you can pre-race day. The ride is on Garmin Connect here. It's also fair to say the course is in fact not easy. Additionally some 8-weeks out from race day still some issues with the course. Here are a few things I noticed, as a reminder to anyone else proposing to ride the course before the race. NO COURSE MARKING: I had previously marked the course in 2013 and earlier for pre-race training rides. In 2013, it got out of hand and the course is marked 5-6 times in some sections. The first thing to know is the course markings are no longer accurate, they follow the 2013 and earlier parts of the course. Second, and more importantly, we depend on the goodwill of the community and the Travis and Bastrop County Sherrifs for their cooperation. There have previously been complaints about road marking, even with chalk sprays. NO EXPO CENTER ACCESS: Don't assume that because the gates nearest the start of the bike course are open, others will be. Please ride on the public road only before race day. BLUE BLUFF TO LINDELL Ln.Take care on Lindell Ln. there are some cracks. When turning left onto Blue Bluff, the road has some serious holes in the first 1/4 mile, ride slowly and preferably single file through the first 250yds avoiding the large surface holes. 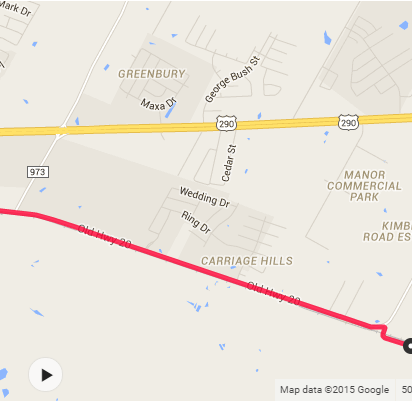 Second, there is currently construction of a new road on the other side of SH45 toll road. At least, as of Saturday 9/12, you were NOT able to follow Blue Bluff to Old Highway 20 there is a diversion in place. Instead, take the new road and turn right at the detour sign onto Old Highway 20. This adds less than 1/4 of a mile to the total distance, don't stress it and take care a you pass through the construction zone. OLD HIGHWAY 20: After passing through downtown Manor, please obey the stop sign in town, and the stop sign at the juntion of Old Highway 20 and FM973. After the FM973 stop the road has some serious cracks, please take care and if riding in a group, signal the damage and changes to avoid crashes. Once Old Highway 20 becomes Littig Rd, the surface is cracked in some places, but general reasonable. On Littig Rd around mile 13, both weekends we've had a large grey/black dog come tearing out onto the street at high speed and barking loudly. 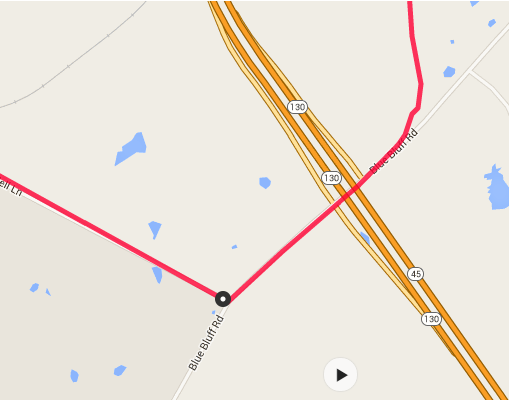 BALCH TO FM1704: The right turn from Balch onto FM1704 is a stop. The road surface is gone and it's been filled with loose gravel, slow down well before the corner and prepare to stop. The rest of the course, especially on FM1704 and FM969(aka MLK East) can be busy by mid-morning Saturday, please take care, keep right and ride single file. 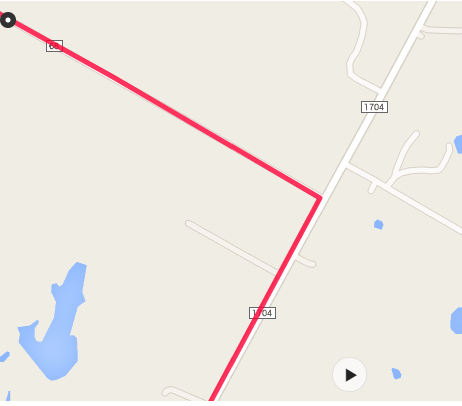 Overall the course is in reasonable condition for Texas country roads. There are more fast sections than there are poor quality chip seal/seal coat sections. Triton World Series - Long Course over 3-days! New Paris Ohio next for Ironman?